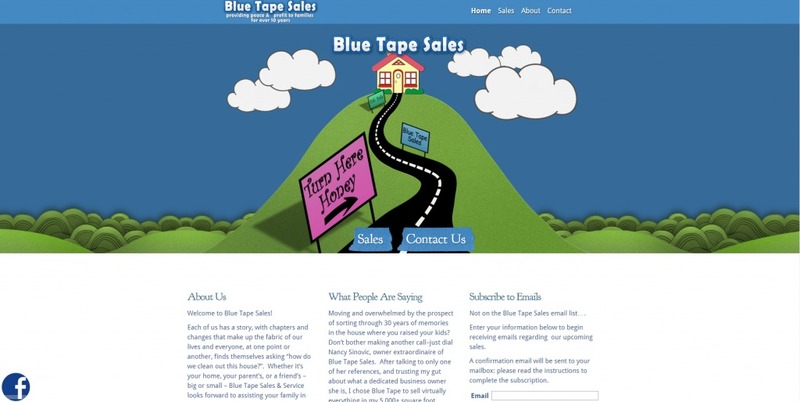 The Blue Tape Sales Website features a responsive design with a fun intro animation on the home page. It is available across devices and is designed for ease of use. Blue Tape Sales is an estate & moving sales company that helps others put on sales. The website has information about each sale that they put along, what the company can do, and how to contact the company.